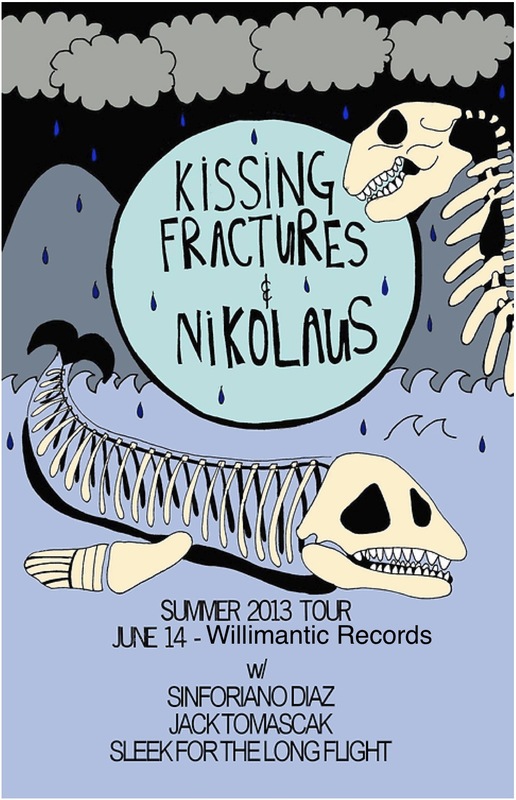 NIKOLAUS- "W Hartford folk/acoustic/sad FFO Owen, John Darnielle. Kicking off tour with Kissing Fractures." SINFORIANO DIAZ- "solo project of former The World is a Beautiful Place vocalist/keyboardist Thomas Diaz." KISSING FRACTURES- "Sad girl stuff from Maryland, outside of DC. Sometimes Aimee Lin and Nick Kwas." JACK TOMASCAK- "CT emo/punk solo acoustic set." SLEEK FOR THE LONG FLIGHT- "Solo project of Matthew Davidge-Paolillo of Osier Bed/Amy Lace."